Hardcover, 8 x 10.75 in. / 528 pgs / 1,125 color / 30 bw. Text by Wigger Bierma, Wouter Davidts, Suzanna Héman, Walter Nikkels, Lothar Baumgarten, Rudi Fuchs, et al. 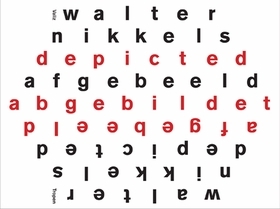 Walter Nikkels is a large-scale, copiously illustrated monograph on the work of this influential Dutch book designer and typographer (born 1940). 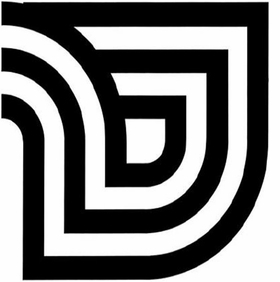 Nikkels has designed and edited numerous books and catalogues, as well as bank notes, house styles, invitations, logos, posters and stamps for galleries, museums and institutions worldwide. He has also designed and installed a number of major exhibitions--notably Documenta 7 in Kassel, Bilderstreit in Cologne and the 2003 van Gogh exhibition at the Kröller-Müller Museum in Otterlo. 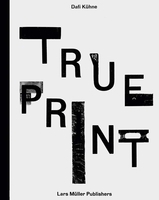 This wide-ranging overview of Nikkels’ award-winning work also addresses typography and its traditions, the representation of art, the meaning of institutional architecture and the communicative value of design. With over 1,000 images in color, the publication includes contributions by Lothar Baumgarten, Wigger Bierma, Wouter Davidts, Rudi Fuchs, Suzanna Héman and Nikkels himself. 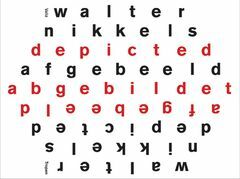 Featured image is reproduced from Walter Nikkels: Typography. FORMAT: Hbk, 8 x 10.75 in. / 528 pgs / 1,125 color / 30 b&w.